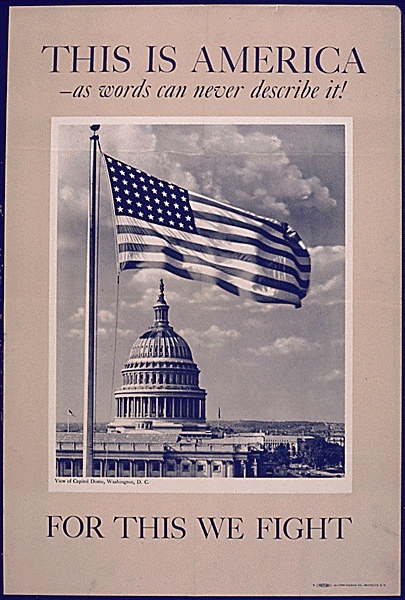 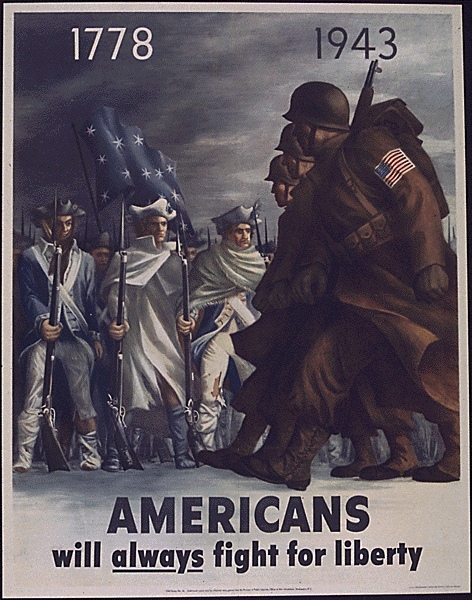 Archibald MacLeish, who headed up the Office of Facts and Figures, believed that “the principal battle ground” of the war was “American opinion.” The US home front did in fact play a critical role in the war, particularly in its overwhelming production of munitions and in its financing of the Allied war machine through war bond purchases. 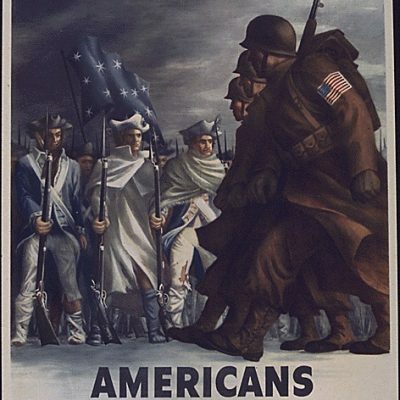 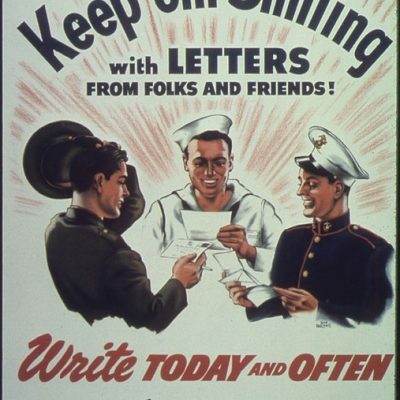 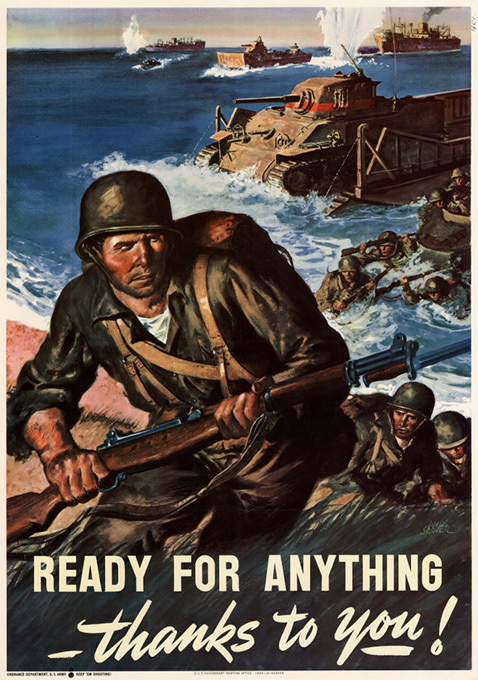 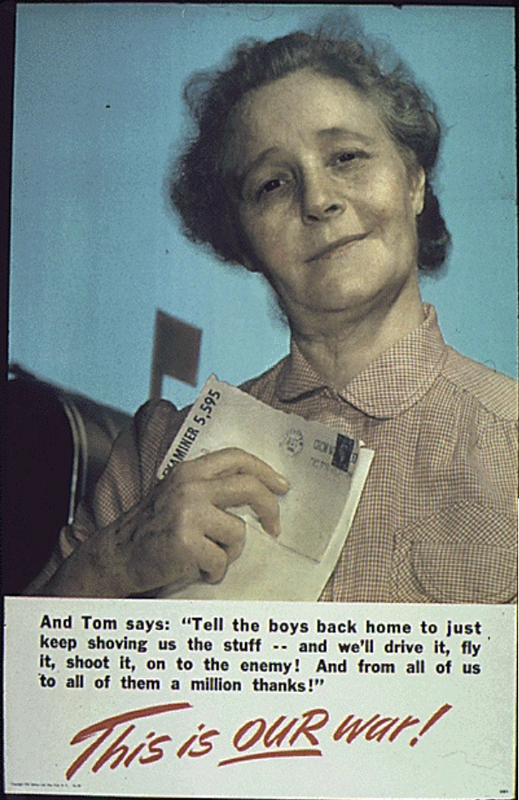 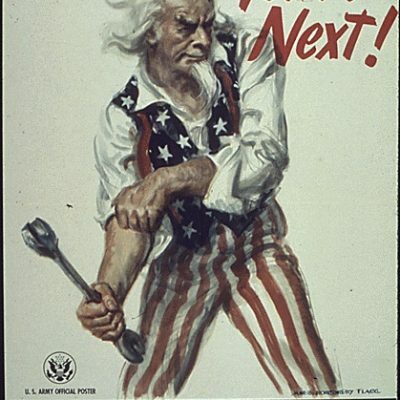 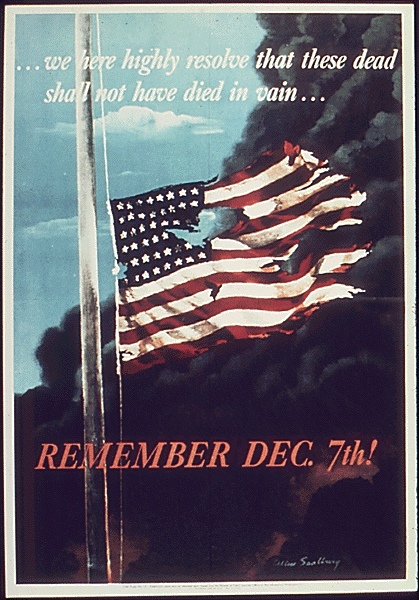 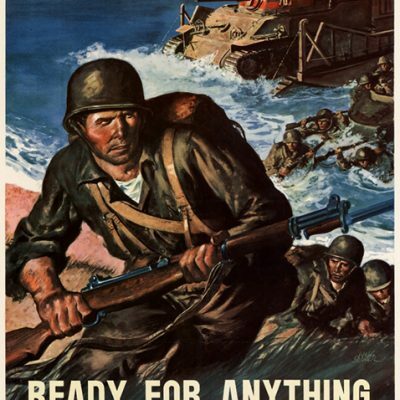 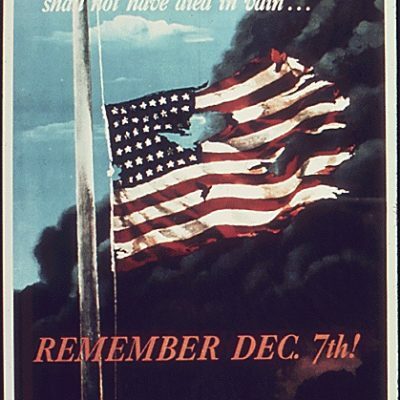 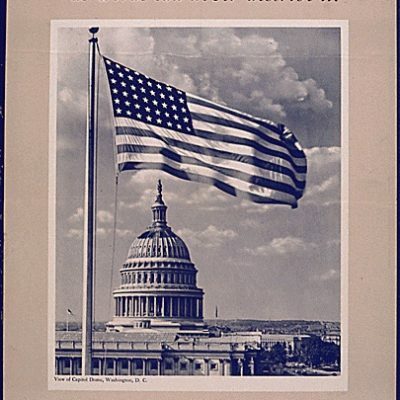 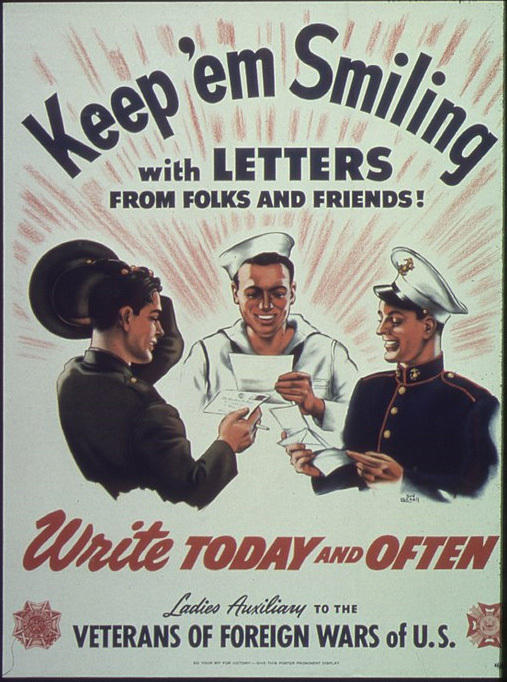 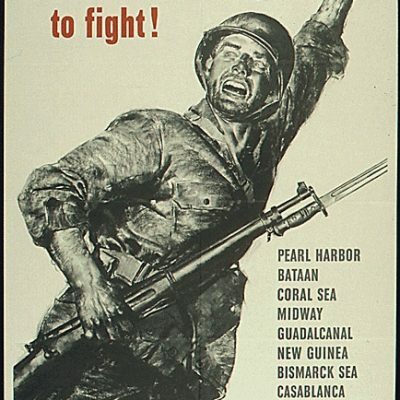 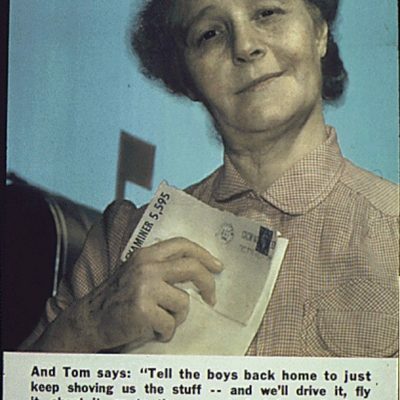 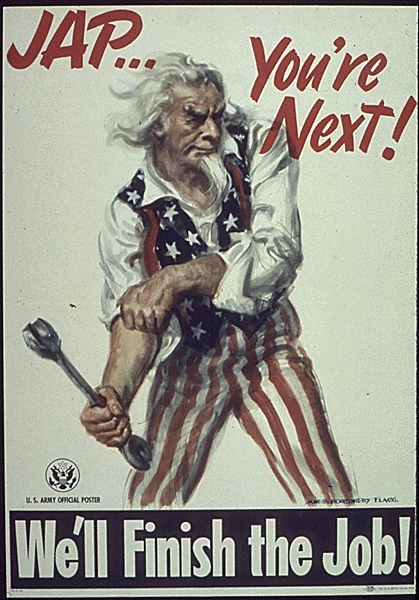 Thus, wartime posters consistently aimed to keep American civilian spirits high, as a significant decrease in morale at home would have had devastating implications for the battlefields. 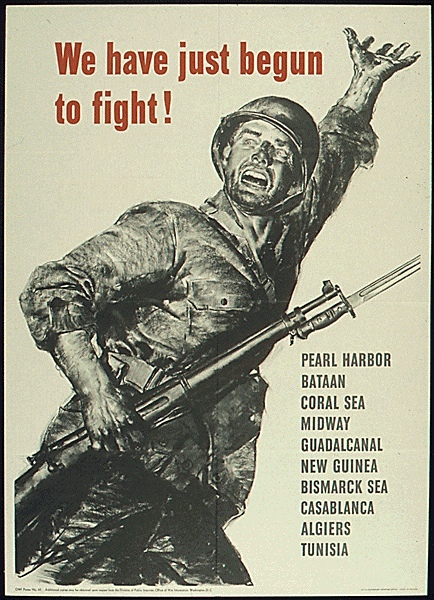 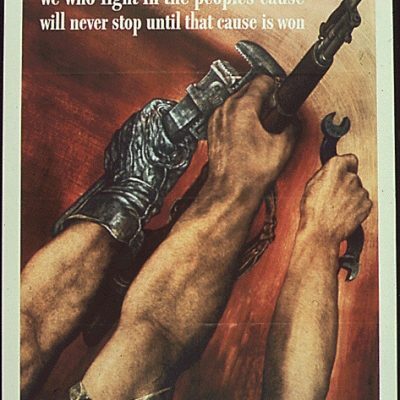 Title: This is Our War! 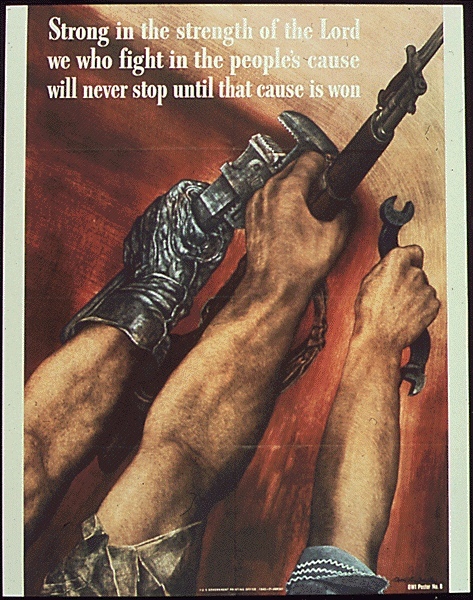 Title: We Have Just Begun to Fight!